President Barack Obama's 2013 budget proposal includes a measure that would make a health-care tax credit available to more than a hundred thousand additional businesses -- giving those owners more cash in their pockets at a time when the economy is still ailing. If Congress approves the proposal, not only would more businesses become eligible for the tax credit, some that are already eligible would get more cash back. In 2011, the health care tax credit is estimated to have helped 360,000 small businesses that provide health insurance to two million workers. Under the President's proposal, the tax credit would benefit 500,000 small businesses that provide insurance to four million employees. The landmark health-care law -- called the Affordable Care Act -- that was passed in 2010 included a set of temporary tax breaks to help the nation's smallest businesses deal with the surging costs of health-care premiums. "Right now, small businesses across America pay an average of 18 percent more to provide health insurance than large businesses," Karen Mills, the administrator of the Small Business Administration, and the newest addition to the President's cabinet, said in a blog post yesterday. The current health-care tax credit is available to businesses that have fewer than the equivalent of 25 full-time workers, pay at least half of the cost of their workers' health-care premiums and pay an average annual wage of $50,000. Part-time employees count proportional to the hours they work. The percentage of health-care premiums that a business can claim increases step-wise the smaller a business is and the fewer employees. So, a business with fewer than 10 employees and average wages less than $25,000 will get the maximum allowable credit. The credit is 35 percent of what the business pays on premiums this year and next and increases to 50 percent in 2014. The problem is that as the health-care tax credit currently stands, a big chunk of small business owners don't qualify. And, according to a survey conducted by the Small Business Majority at the end of last year, 33 percent of employers that don't currently offer health insurance said they would be more likely to do so because of the tax credits. Under the President's revised proposal for the tax credit, businesses with as many as 50 employees would be eligible to receive a tax credit and businesses with as many as 20 employees would be eligible to receive the maximum credit. Also, the President's proposal makes the phase out schedule for the tax credit more generous and eliminates a couple of onerous requirements for small businesses to be eligible for the tax credit. For example, the President's proposal would eliminate the current tax credit requirement that limits the employer contribution to the average premium for the state. The goal is to streamline the process of applying for the credit. Should the expanded health-care tax credit pass muster with Congress, an additional $14 billion in tax credits would be available over the coming 10 years. That's a tough sell for many in Congress, as there's a deep opposition to boosting government spending. What's more, some Republicans in Congress aren't convinced that expanding the tax credit would fix anything. "The current small business health care tax credit is too narrow and temporary, and expanding it to more businesses wouldn’t solve its other problems, such as unawareness of the credit or the benefit being too small to bother calculating," said Rep. Sam Graves (R., Mo. ), the Chairman of the House Committee on Small Business, in an emailed statement. 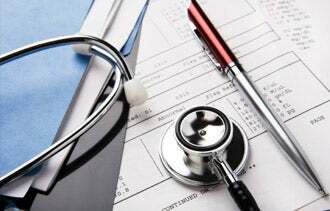 "The health care law should be repealed in its entirety immediately," he added. 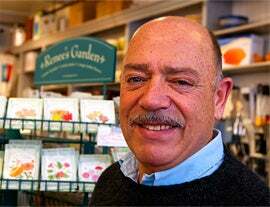 Mark Hodesh, the owner of Downtown Home & Garden, says the health-care tax credit has helped him deal with skyrocketing premiums. But that's not what Mark Hodesh, the owner of Downtown Home and Garden, in Ann Arbor, Mich. would tell you. Thanks to the existing tax credit, Hodesh banked $9,125, which he says is circling right back into the economy. Hodesh joined Administrator Mills on a conference call with reporters to tout the benefits of the tax credit. He has 11 full-time employees, seven of whom opt to participate in the health insurance plan, which he has offered since 1998. But in the last ten years, his premiums have skyrocketed 300 percent. "That is just staggering," Hodesh told Entrepreneur. "We couldn't raise the prices we charge for merchandise to keep up with it, so it was a real squeeze, but this Affordable Care Act helped immensely." The hefty tax credit was enough to encourage Hodesh to hire another employee.